North Korea on Friday spurned appeals to join talks on its nuclear and missile programs, saying the United States should drop financial sanctions before any negotiations occur. A U.S. envoy said the communist nation was sinking deeper into isolation. At a conference in Malaysia, North Korea struck a defiant tone as U.S. Secretary of State Condoleezza Rice and top diplomats from other regional powers prepared to discuss Asian security matters without their counterpart from Pyongyang. North Korea's efforts to develop nuclear weapons are a source of global concern, and the North deepened the standoff when it test-fired seven missiles earlier this month. At the same time, U.S. sanctions against banks linked to North Korea have sapped the communist country's cash flow. "The U.S. says it's difficult to lift the financial sanctions, but there is nothing difficult. 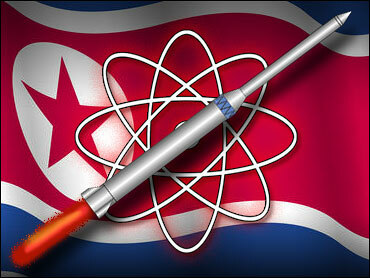 If the U.S. wants to, it can do it easily," North Korean spokesman Chong Song Il said in Kuala Lumpur. "We believe if the U.S. earnestly wants dialogue, it can do this." Chong had harsh words for the United Nations, which condemned the missile tests and barred U.N. member states from dealing with North Korea in material or technology for missiles or weapons of mass destruction. "The missile launches were part of a routine military exercise and a self-defense project," Chong said. "It's brigandish for the U.N. Security Council to take issue with this." North Korea's foreign minister, Paek Nam Sun, planned to meet separately with his South Korean and Chinese counterparts at the ASEAN Regional Forum, a security conference attended by 25 countries and the European Union. But the North's diplomatic isolation was evident in the decision by the United States and other nations to hold a separate meeting on the sidelines of the conference without Paek, ostensibly to discuss northeast Asian security. "They are completely isolated," said U.S. Assistant Secretary of State Christopher Hill. "If it's isolation they want, it's going to be isolation they get." The sideline meeting was to include Rice and the foreign ministers from countries involved in stalled six-party talks on the North Korean problem: North Korean allies China and Russia, as well as South Korea and Japan. Foreign ministers of Australia, Malaysia, Indonesia, Canada and New Zealand were also attending. The addition of peripheral players in the North Korean standoff was a delicate maneuver to avoid the impression that nations in the six-party process were ganging up on North Korea. The international community remains divided on how to deal with the communist nation. South Korea, for example, favors engagement with its neighbor, while the South's chief ally, the United States, takes a harder line. China appears to be frustrated with North Korea's belligerence, but does not want to apply pressure that could destabilize the regime there.